Masonry work and repairs are often needed on chimneys and fireplaces due to fire damage, water damage, improper construction or poor maintenance. We offer tuckpointing, smoke chamber repairs, firebox repairs and rebuilds, plus chimney crown repair or replacement. We have several highly skilled masonry crews that do exceptional work in all facets of masonry repair. As professional masons with over 20 years of masonry experience, there’s no masonry job too big, too small, or too tough for us. 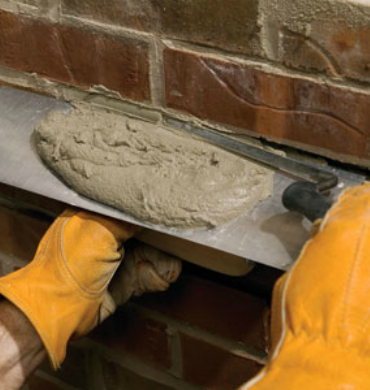 We have the tools and knowledge of techniques to provide the most beautiful and long-lasting masonry repairs possible, whether we’re working on a new chimney or an historic chimney. Our team has performed countless masonry repairs and restored chimneys and hearths of all ages, so whether you need some mortar joints tuck pointed or your leaning chimney needs to be rebuilt, you can count on us. We use high-quality products to repair and restore masonry, as well as to protect it from future damage and decay – so once we’ve made repairs and restored your masonry, you can expect it to last and last. 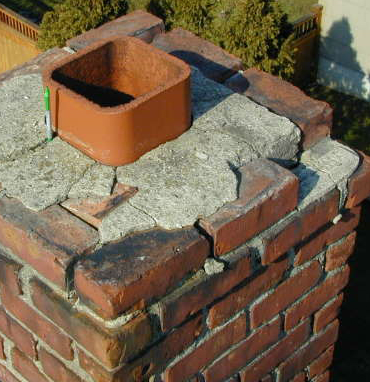 Chimney Rebuilds – A proper chimney rebuild requires expert knowledge of masonry as well as venting systems. With Ground to Crown Chimney & Fireplace Services, you get both. We are Chimney Safety Institute of America (CSIA) certified and have the knowledge and experience to rebuild your chimney from ground to crown. Learn more about our chimney rebuild services here. Crown Repair – The crown that closes off your chimney stack should keep water out of your chimney top, your masonry, and your flashing. But not all crowns are created equal. Learn more about the importance of a proper crown and why you should leave your crown repairs to our experts. Tuckpointing – When the mortar joints between the bricks of your chimney or hearth begin to recede, crack, and fall apart, unnecessary stress is put on the rest of your masonry system. But we can help. We carefully grind out damaged joints and replace them with properly matched mortar for a seamless, strong repair. Find out more about tuckpointing here. 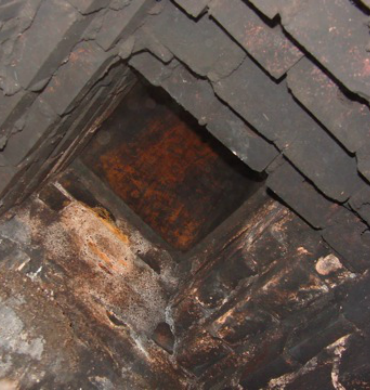 Smoke Chamber Repair – The smoke chamber that funnels smoke and byproducts up into the flue and out of the home can take a beating over the years. As a result, your smoke chamber can be left with jagged edges, cracked walls, and holes. Not only does this lead to inefficiency, it’s also incredibly unsafe. If your smoke chamber is in disrepair, let our professionals restore it with Guardian S.C.R. or ChamberGuard. Find out more here. Whether your masonry repair needs are minor or you’re sending out an S.O.S., we’re here to help. 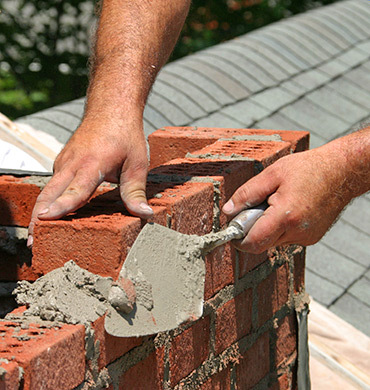 We provide professional masonry repairs and restoration work, and stand behind each and every job we perform. Request an appointment with one of our expert masons by calling us at 248-646-8970.